Family Dentistry of West Bloomfield strives to go above and beyond to be your choice when you’re looking for a West Bloomfield cosmetic dentist. We offer a wide range of general and cosmetic dentistry services in order to give you a healthy smile and fix all your dental problems. We’re not just your standard cosmetic dentist though; we can also use our dentistry techniques to help you out in a few seemingly unrelated ways as well. One of the areas that we can actually help you out with is the field of sleep-related breathing disorders and sleep apnea. 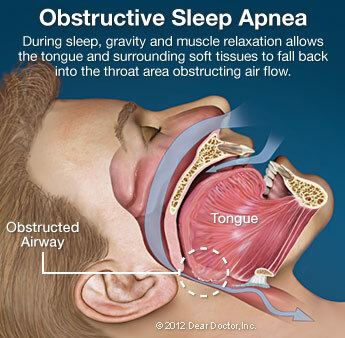 Obstructive Sleep Apnea is usually accompanied with loud snoring and occurs when the upper airway is blocked to the point of causing significant airflow disruption. In some situations, there may even be no airflow at all for over ten seconds. This is dangerous as reduced airflow into the lungs will lower the blood-oxygen levels. A person with sleep apnea can actually wake up around 50 times an hour without having any memory of it. These awakenings, known as micro-arousals, last just long enough to restore muscle tone to the airway, allowing the individual to breathe. Unfortunately, these micro-arousals prohibit a deep and restful sleep. Snoring and sleep apnea can actually sometimes be treated with an oral appliance that we provide in our West Bloomfield office. This oral appliance is designed to hold the lower jaw forward during sleep. Because the jaw is repositioned, it moves the tongue away from the back of the throat and reduces the potential for obstruction. This is a good and simple method to try before moving onto more complex breathing devices or surgeries. Only a dentist can treat complications associated with Oral Appliance Therapy used in managing sleep-related breathing disorders. If you’re experiencing any of the symptoms we mentioned, please come in and talk with us about Oral Appliance Therapy. Even if this isn’t the help you’ll end up needing, we can still point you in the direction of someone who’ll be able to treat you. 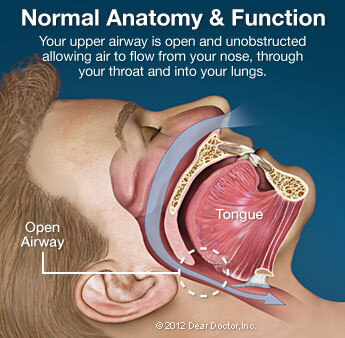 If you have any questions about sleep apnea or our dentistry procedures and services, we encourage you to contact us. Family Dentistry of West Bloomfield is glad to help you in any way we can. If you would like to schedule an appointment with us, please feel free to fill out our appointment request form or give us a call at (248) 661-4000. We look forward to seeing you!